Upcoming Travel Plans + Cyber Monday Sales! Can you believe today is the last day of November?! Tomorrow marks the start of a new (and last) month of the year, which means two things: 1. Finals. Luckily, I finish everything in one week, so I'll be heading home early for break. The downfall of that is, all my finals are clumped together and start pretty early for me. 2. Traveling. Plans. I have a few plans laid out for the upcoming winter break. Which brings me to my next point. 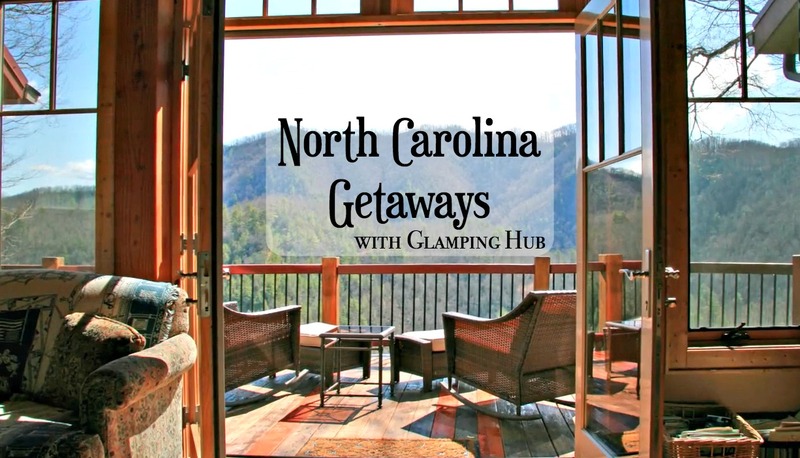 I'm partnering up with Glamping Hub in January to go on a little North Carolina Getaway trip with my YouTube gal pal Natalie. I don't want to share too much of our plans just yet because I'll go into depth as the time comes, but I wanted to introduce you all to Glamping Hub first. By definition, glamping refers to luxury camping or glamorous camping. I love that glamping allows you to get in touch with the outdoors and nature without having to "rough it." Ha. As a girl who is particularly not so fond of bugs, glamping as an option comes in handy! If you're looking for a North Carolina Getaway for the upcoming winter break, there are tons and tons of options you can choose from! From cabins in the mountains to the beaches to the lakes, to even luxury tents, feel free to peruse through to learn more about Glamping Hub! P.S. check out Cyber Monday sales below the jump! Some of these end TODAY, so be sure to snag those deals in before midnight! Kate Spade: 30% off your order. Use code: SHINE - valid 12/1 at 12 AM PT. H&M: 20% off your purchase over $25 with code: 2020 + free shipping! 30% off your purchase over $50 with code: 3030 + free shipping! 40% off already reduced sale items with code: 4040 + free shipping! Thank you to Glamping Hub for partnering on this post. All thoughts and opinions are my own. NC State Tailgate Idea + NEW Video! Ombré + Kendra Scott Giveaway Winners Announced! Too Tulle For You + $500 Nordstrom Giveaway! Leather Weather + NEW VIDEO! UNC Homecoming Week + and Kendra Scott GIVEAWAY! #KSGameDay Tailgate Looks ... and GIVEAWAY!